We are committed to providing you with the flooring you have always envisioned for your home. Our showroom features all the latest design trends as well as timeless classic styles in Carpet, Hardwood, Laminate, Ceramic, Window Fashions, and Solid Surface Countertops. For more than 20 years, our customers have come to rely on us for the highest quality products and services in the residential and commercial flooring industry. 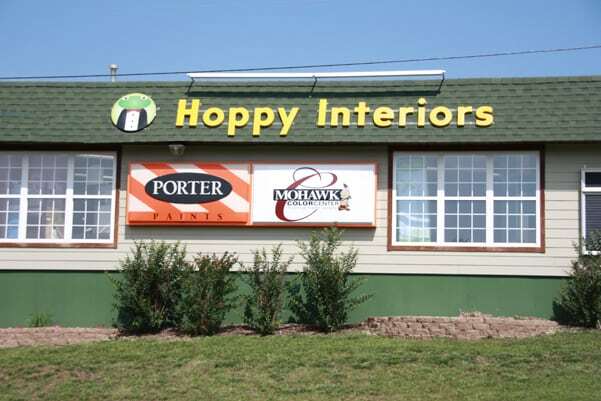 The flooring sales professionals at Hoppy Interiors will help you find the perfect floor for the way you live. Our in-house team of experienced installers use industry standards to provide you quality craftsmanship.